V Festival is the best festival in Essex undoubtedly. V Festival is well known for its wide array of musical talent ranging from pop to hard-core drum’n'bass. You really are spoilt for choice and are guaranteed a weekend of pure, energized dedication to your ultimate artists. With the festival taking place on the 3rd weekend of August, you are pretty much guaranteed that the sun will have it’s hat on! Many festival goers will be seen basking in the heat with a hot dog and a beer, however the toilets are something less of desirable, but hey, that’s to be expected at any festival. V Festival has been running since 1996, so there is no reason to refer to it as less experienced, they offer all the plus points of any other well-known festival such as Download or Reading. Of course, not only is V Festival taking place at Hylands Park, Chelmsford, but also at Weston Park in South Staffordshire as it has every year, since 1999. The event is held at the two parks simultaneously where bands and solo artists’ alternate days to ensure all ticket holders regardless of their location are offered the same, amazing musical experience. Basically artists perform at one location on Saturday then swap on Sunday. This way fans in both the North and South have the chance to see their favourite bands. 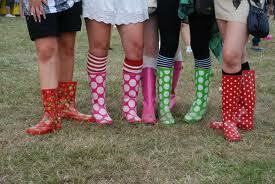 2011 Annual V Festival is taking place on Saturday 20th and Sunday 21st August. This year’s headliners for Saturday at Hylands Park include artists such as; Arctic Monkeys, Plan B, Kaiserchiefs, Tinie Tempah, Chase & Status, Jessie J and Dizzee Rascal and headliners for Sunday include; Eminem, Rihanna, The Script, Manic Street Preachers, Pendulum, N Dubz and Ellie Goulding. Of Course, Weston Park will have the same artists perform, yet the days will be swapped around. This entry was posted on Monday, July 11th, 2011 at 2:40 pm	and is filed under Music News. You can follow any responses to this entry through the RSS 2.0 feed. Both comments and pings are currently closed.